Sometimes when we read article, even is in English language it’s easier than we read. I don’t know why, but it’s happen into my self. When I read text book, news or tutorial english, I can catch the meaning. Maybe not all sentence I understand, but overall, I can know what the meaning. But when I began to write, I began to think and think again. What word I should choose? can I explain with this why? can I make clear sentence? And some other question in my brain. The next problem it’s grammar, when I finish one article, i'm not sure the grammar is correct. I just explain it, with my own writing. Maybe, it’s also happen to all of you. You will get confuse to start english article, you don’t know how to start and how to explain. Maybe guys, it’s all about culture and habit. In America or county that use English language, it’s easier to tell story because it their own language. I'm also can tell story in my country language, and also you are. Talking about culture, I remember when I came into one part of my country, that use district language. In my country, Indonesia, there is so many language. Each province, almost have own dialect. When began to live in other district. I can't understand what they said. I just listen listen and listen, i can't said even a single language at that time. one month pass, i began to know and can use that language. Same meaning in english may be. We never able to use english, because we never use it. We never hear or even use it. If we always hear and use it, it’s become a habit, and little by little i'm sure that we will mastering english. 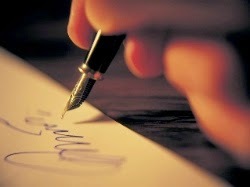 It also happen when we write, we will write fluently if we always use it. So because that reason, I use english language in this blog. I'm not mastering in english actually, and maybe many of my article use wrong grammar , or even so messy. But i'm sure, my english will improve when I use it. Actually, I can use google as translator, you can use google translate. you write own article with your language, and than translate It on google. But that can make major mistake, beside the result is sometime messy. So, my suggest, you use english article manually, no matter it make any mistake, just do it in english.After that, u can use google as translater to make correction with your word. Sometime you will make wrong spelling, and google will correct it to you. Next step to make your writing better, try to read as many as you can. With writing skill and ready skill combined, it can make you learn by doing. Once again, english it's all about habit. I'm sure, all of us can use different language, human are able to use many language. So use it or you will lose it.